High-definition TVs have come a long way in the past two years. In 2008, a 1080p HDTV set was still a high-end item; today, it's pretty much the norm (as it should be for optimal Blu-ray Disc playback). LED-backlit sets were just starting to appear then, and their price tags were astronomical — Sony charged US$5000 for its first 46in LED-based Bravia. These days, such models are widely available, and prices have dropped dramatically. Many sets are now networkable, and come with built-in software that affords easy access to popular Internet sites and services such as Facebook, Twitter, and YouTube. Support for playback of still images, music, and video has grown by leaps and bounds, but varies widely among vendors and models. This is something you can easily look into online, along with information on connectivity options (such as how many HDMI, component-video, and other inputs you get, and how well they match up in format and number to what your media sources are). These and other changes in the high-def landscape have definitely affected what you see in stores when you shop for an HDTV. Much of the advice we've given in the past still applies (see "HDTV Buying Guide: Shopping Tips" and "Six Common HDTV Showroom Pitfalls"), but here are a few updated pointers to keep in mind as you check out today's increasingly sophisticated sets. It used to be easy to see the difference between plasma and LCD sets. The plasmas were larger, with a cinematic picture quality that resulted from their ability to achieve very dark blacks and to handle fast motion; LCDs were smaller and very bright. But those distinctions are fading in the 40 to 50in sweet spot, especially with the arrival of LCDs that use full-array LED backlighting with local dimming (as opposed to the less-expensive but typically less-attractive edge-lit LED backlighting). Local dimming — the ability to dim individual LEDs or groups of LEDs to produce dark tones — allows sets to achieve very dark blacks, and we're seeing more and more of these sets in the 46 to 50in category, where plasma once ruled supreme. So when you're in stores, don't judge a TV set on its flat-screen display technology alone. 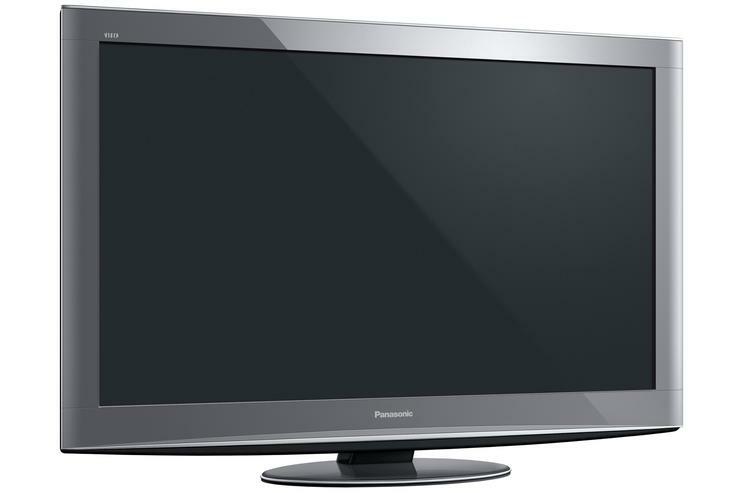 For more on current technology distinctions, read Nick Mediati's "Geek 101: Plasma and LCD Basics." This is one plasma-versus-LCD distinction that has become even more significant in recent years. LCDs have always consumed less power than plasmas have, but LED-backlit LCDs are even more energy-efficient than their CCFL-based cousins. If you're a heavy-duty couch potato, you might want to pay a little more for a high-quality LED-backlit set; you'll save money in the long run on your power bill. At the very least, try to research the set's energy consumption (PCWorld tests this on the sets we review), and don't just settle for vague Energy Star claims (although compliance with current Energy Star standards is obviously better than noncompliance). Many issues that may arise in real-world use won't be apparent in the video loops or live programming that sets in stores display. As we've said in the past, the ideal setup would be to look at a Blu-ray Disc movie on a player connected to the TV with an HDMI cable. If you might use your set to view content from other sources, bring any devices you plan on using, from USB flash drives (SD Card viewers are becoming increasingly rare) to camcorders, netbooks, or even some cell phones. Persuade the sales reps to let you hook them up — and load them with content that will really stress the set. By that, we mean elements that that jiggle when they should be perfectly still. Do straight lines in buildings or brick walls wiggle in panning shots? Do you see moiré effects in certain fabrics or other patterned surfaces? In our juried tests we particularly look for these issues in certain scenes in the Blu-ray releases of Mission Impossible 3 and The Dark Knight. In this case, you're looking for similar problems stemming from the set's handling of sweeping movement. Do you notice fixed shadows in panning shots (which can happen with some edge-lit LED-backlit sets)? Do details become blurry? In our lab tests of HDTVs, performance on motion has increasingly become a big differentiator between sets. Again, this was once plasma's forte, but now we're seeing LCDs with increasing refresh rates (200Hz and even the odd 400Hz set at the high end, as opposed to 50Hz and 100Hz a couple of years ago), plus proprietary technologies for dealing with motion. Don't just depend on the numbers or marketing hype, though. Do your own testing.